Toilolo caught all four of his targets for 43 yards and a touchdown during Sunday's victory in Green Bay. 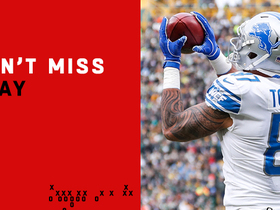 Toilolo secured his only target for 16 yards during Sunday's 27-9 victory over Detroit. 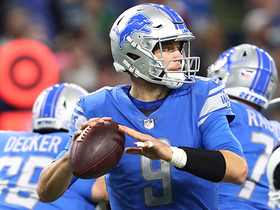 Analysis: Toilolo saw a significantly lighter workload than he has in recent weeks on a day quarterback Matthew Stafford peppered star wideout Kenny Golladay with a gaudy 15 targets. 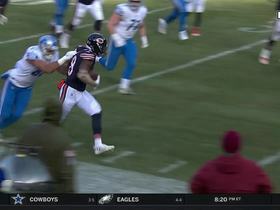 He'll look to rebound in Week 17 against a Packers team that just surrendered six receptions for 82 yards and one touchdown to Jets rookie tight end Chris Herndon this Sunday a week after allowing Bears tight ends to log six receptions for 75 yards and a score in Week 15. 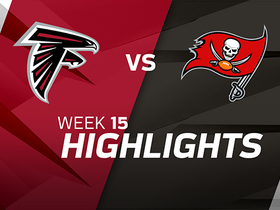 Toilolo secured all four of his targets for 28 yards during Sunday's 14-13 loss to Buffalo. Analysis: Toilolo had only seen more than one target on one occasion through the first 11 games of the season, but the tight end has averaged over three targets and 48 receiving yards per game over the last three weeks. With Michael Roberts (shoulder) on injured reserve, it's not a stretch to think Toilolo could continue to see consistent looks in the passing game during the final two games of the season. Toilolo secured both of his targets for 26 yards during Sunday's 17-3 victory over Arizona. 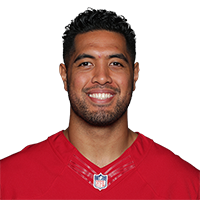 Analysis: Toilolo predictably fell back down to earth in his first showing after catching four of six targets for a career-high 90 yards last week against Los Angeles. Still without a touchdown and just one target in the red zone over 14 games, Toilolo will remain an unattractive fantasy option in Week 15 against the Bills. 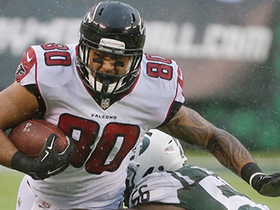 Toilolo secured four of six targets for 90 yards during Sunday's 30-16 loss to the Rams. 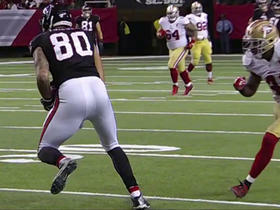 Toilolo caught one pass for 13 yards during Sunday's 20-19 victory over Carolina. Analysis: Even with Marvin Jones (knee) and Michael Roberts (shoulder) out of action -- and with the Lions still looking for pass catchers to step up in the wake of Golden Tate's trade to Philly -- Toilolo remained an afterthought in the gameplan. Don't expect that to change in Week 12 against the Bears. 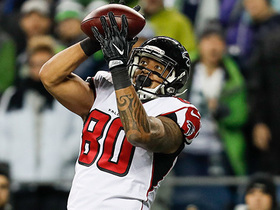 Toilolo was not targeted in the passing game during Sunday's 24-9 loss to the Vikings. Analysis: After averaging over 25 offensive snaps per game over the first six games of the season, Toilolo hasn't topped 16 in either of the past two weeks. 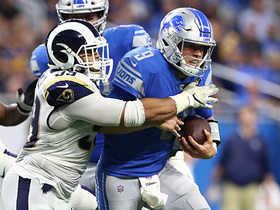 If the tight end is intentionally being given a diminished workload, the blocking-oriented Toilolo will become even less relevant for fantasy purposes. 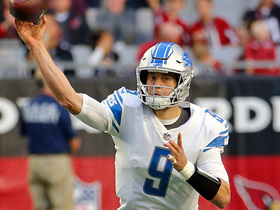 Detroit Lions quarterback Matthew Stafford throws a nifty side-arm pass to tight end Levine Toilolo for a first down. 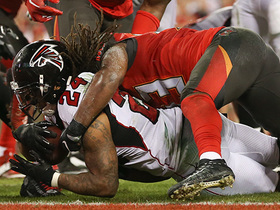 Falcons running back Devonta Freeman gets into the endzone, fumbles, tight end Levine Toilolo recovers. Atlanta Falcons quarterback Matt Ryan hits an open tight end Levine Toilolo in the end zone for a touchdown. Atlanta Falcons quarterback Matt Ryan escapes pressure and throws a short completion to tight end Levine Toilolo. Atlanta Falcons quarterback Matt Ryan goes deep to tight end Levine Toilolo for 30 yards.